We are proud to introduce the industry thought leaders who will be speaking at WORKTECH 14 New York on May 15, 2014. An expert in the fields of talent management, organizational design, recruiting, assessment, and leadership, Dr. Ardi creates enhanced value in companies by matching the most sought after talent with the best opportunities. She also coaches senior management, boards, and investors on the art and science of building high caliber teams, providing them with the skills to attract top-level management, design ideal organizational structures, and deploy people against strategy. In the past, Dr. Ardi has served as a Partner/Managing Director at CCMP Capital and JPMorgan Partners, and was a Partner at Flatiron Partners. Chris Hacker, VP Marketing & Design / Creative Director Global Work Herman Miller, Inc. In his role at Herman Miller, Hacker connects the marketing initiatives of the entire workplace portfolio and oversees integration of the creative efforts across products, communications, and experiences. Prior to joining Herman Miller, Chris was Chief Design Officer at Johnson & Johnson, where he led the creative teams for brand identity, product and packaging design, retail and facility design, and brand imagery. He also led environmental sustainability efforts at J&J Consumer Companies. Peter Miscovich develops corporate strategies and programs that enhance workplace performance, enable transformational change, and support innovation. These comprehensive solutions integrate corporate real estate, technology, human resources, finance, operations, sourcing, and corporate strategic planning functions. Previously, Peter served as a Partner within the PwC Global Advisory practice focused upon Workplace Transformation. Philip is an author, consultant, and commentator specializing in the future of work. He predicts the way that new trends and forces such as emerging technology will shape how we work, live, learn, and enjoy leisure. He has written a number of books on the future of cities, work, and workplace including The Creative Office, The 21st Century Office and Space to Work (all co-authored with Jeremy Myerson). He has also contributed to a number of other books including The Corporate Fool and The Responsible Workplace. Orangebox is the UK’s most progressive, innovative, and successful office furniture company. Taylor’s vision and strategic direction have contributed to Orangebox growing to a £35 + million company. He also researches, writes, and speaks at conferences worldwide about the changing workplace. He has recently published Boomers & Millennials for Orangebox, which reports on why the new global economy, the consumerization of workplace technology, and generations seeing the world differently has resulted in a perfect storm that will require all of us to see how we work, afresh. Steven Tiell is a technologist, entrepreneur, and sustainable strategy executive. He leads strategy and thought leadership for Accenture’s Technology Vision, the firm’s premier thought leadership publication. Most of his career has focused on high-impact and highly scalable projects in the public sector. For example, while at Cisco Systems, he helped to build innovative go to market strategies that became the current Internet of Everything and Smart+Connected Communities initiatives. He lives in San Francisco with his family and holds an MBA in Sustainable Management and a BS in Computer Science Engineering, Information Systems. Woolsey is a business strategist, speaker, and author. She is an expert on the connections between built space and business, guiding leaders to understand how the physical environment is either a reflection of business success or a symptom of its failure and struggle. Woolsey was trained as an architect, moved into the business arena, then gave a TEDx talk in 2011 that lead to consulting in the overlap between business and design. Now, she helps business leaders differentiate between business issues and facilities issues, using business strategy, brand alignment, and facilities strategy to create the most direct path through any organizational transformation. Dr. Puybaraud aims to make a fundamental contribution to understanding the workplace challenges of today and tomorrow by monitoring trends and sourcing innovative ideas and concepts, as well as systems to improve the way we work and how we collaborate within our workplaces. She combines her workplace expertise and corporate experience to transfer knowledge to the global community. She is an active member of CoreNet with the Workplace Community and IFMA with the Workplace Evolutionaries Group. Waber is the President and CEO of Sociometric Solutions, a management services firm that uses social-sensing technology to drive innovative transformation services. He is also a visiting scientist at the MIT Media Lab, where he received his PhD, and was previously Senior Researcher at Harvard Business School. His work has been featured in Wired, The Economist, and NPR, and he has given invited talks at Google, EMC, and Samsung. His new book, People Analytics, was released in May 2013. Andrew Moore, Managing Director, Strategic Accounts, Enterprise Solution Sales, Intel Corporation. Moore is responsible for ensuring that Intel is developing truly strategic but very much reciprocal relationships with its top global end customer accounts around the world. Prior to this role, he ran Strategy and Planning where he was responsible for defining and implementing the overall strategies to accelerate the drive of Intel’s relevance to end-Customers. Andrew joined Intel in 2004 with 20 years of experience in enterprise resource planning and business process development and design for companies including IBM, PeopleSoft, and J.D. Edwards, where he drove strategy, sales, and consulting for areas ranging from infrastructure and integration to customer relationship management and supply chain management applications. My job is to give people a voice in shaping their workstyles and workplaces, to broaden the definition of a problem that takes the complexity of those voices into account, and to help clients co-create innovative solutions to those problems. I believe in the value of being different (which is why this bio is written in first person). In 2012, I joined Perkins Eastman Strategies where I have the privilege of serving innovative clients as part of a diverse team of planners, researchers, and consultants. We are helping clients change the way people work: to bring out the best in them, collaborate to achieve the company’s vision, and be fiscally responsible while being environmentally friendly. Professionally, North is passionate about two things: workplace transformation and creating community. For 25 years, she has been helping organizations create innovative workplaces and adopt new ways of working. Her global expertise includes: change management, workplace strategy, research, sustainable design and leadership. At e-Work.com, her goal is to make workplace change easy and effective by creating “edutaining”, e-learning courses designed to help employees embrace new ways of working and organizations transform. Global Workplace Analytics is a firm that helps organizations understand and communicate the business case for agile workplace strategies. Drawing on its proprietary knowledgebase of thousands of academic and real world insights, GWA helps clients engage stakeholders in the success of their workplace change programs. In addition to her role at GWA, Lister is the author of three books and numerous white papers. She is a sought after speaker and an active member of IFMA’s Workplace Evolutionaries, NewWOW, WorldatWork, and SHRM. In his most recent role, Martin was the Director of Strategic Space, AWS & Conference Services at TIAA-CREF. He led the Alternative Workplace Strategy (AWS) telecommuting program and was responsible for the company’s overall corporate real estate strategy. In addition, he was in charge of the conference services team which supported meeting rooms and shared workspace. Prior to joining TIAA-CREF, hewas the Director of Workplace Solutions for AOL, Inc, where he was responsible for leading a workplace strategies and services department that managed space, furniture, relocation and facilities information for over 4 million square feet across over 100 locations globally. Jim Ryan, Director, EMEA Real Estate and Global Workplace Strategy, Pitney Bowes Inc. In his role at Pitney Bowes, Ryan is responsible for identifying and implementing the appropriate workspace for knowledge worker locations as well as the companies mobility program, Workplace Agility. With 21 years of experience in design, workplace strategy, and change management, he leverages his background in corporate interiors to secure engagement with his internal customers and leadership through an established approach with change management embedded at its core. In addition to his Global Workplace Strategy role, he is also responsible for Pitney Bowes’ EMEA Real Estate Portfolio. Rosenthal co-founded FlexPaths in 2005 to help companies respond to the increasingly digital, diverse, and dispersed nature of the workplace, focused on agile work. The company built and regularly deploys a one stop solution, featuring outsourced technology combined with advisory services, so that teams, divisions, and enterprises are optimally equipped to successfully operate in, or transition to, agile work environments. Previously, she spent 20 years addressing culture change, integrating affiliate businesses, launching new products and services, and mentoring women at AXA, MetLife, and Guardian Life Insurance Company. Deidre Buzzetto, Director, International Real Estate, Lenovo, Inc. In her role at Lenovo, Buzzetto is responsible for 10 M sq ft of space in AP/EMEA/LA/Americas. Her key responsibilities include transactions, project management, facility management, and security. She also leads the real estate sustainability program to drive a positive workplace environment for all locations. Previously, Buzzetto worked at IBM and held various management positions in real estate for headquarter and conference center operations. Michael Gresty, CEO, Rifiniti, Inc. 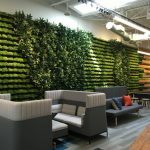 In his role at Rifiniti, Inc., the leading provider of software-as-a-service for office optimization analytics, Gresty has consulted to senior executives on the development and management of more efficient and productive workplaces. He has extensive experience working across multiple sectors with dozens of leading companies and is a frequent speaker at industry events, webinars, and conferences. Gresty received his Architecte DPLG from the Ecole d’Architecture de Paris-Belleville. He also holds a Bachelor of Architectural Studies from the University of Cape Town. Morley is one of the co-founders of Serraview and is one of Australia’s leading experts in Workplace Management solutions. He has over ten years experience developing SaaS solutions, and has spent the last seven building Serraview. He is passionate about building intuitive workplace management solutions that bring people together and facilitate deep conversations, which has enabled many of Australia’s biggest workplaces to optimize the value of their property portfolios. Dr. Permuth is the National Research Director for Business and Industry at Sodexo North America. Prior to working at Sodexo, she spent 10 years as a behavioral scientist at the National Institutes of Health. Her work revolves around understanding and measuring Quality of Life drivers in the workplace – both from the person and the built environment perspectives. She received her PhD in Public Health from the University of Maryland with a concentration in Workplace Health Behavior. Vanderland has over ten years’ experience in developing and implementing nationally recognized, flexible workplace strategies and is also the founder of Space Matters Consulting. The life cycle services she has provided to clients through Space Matters include workplace strategy development and standards for design and furniture and innovative change management planning and effective implementation. She has also assisted organizations in universal design concepts within the workplace to enable inclusion and diversity while enhancing workplace effectiveness and satisfaction. Howells heads up the Workplace Consultancy division within Condeco and will be talking about his experience in utilizing workplace technology to help shape portfolio optimization strategies at WORKTECH. He works with Condeco to offer a complete package of workplace tools, including sensor and people counting technologies, workplace reservation systems and moves and changes software. Previously, he spent nearly 15 years working for Barclays, first in IT and then moving into Facilities as the Global Head of IT. There, he was responsible for rolling out global workplace solutions to aid flexible working. His IT experience has helped to bridge the gap between CRE and IT, which helped deliver significant real estate savings and introduced a more strategic workplace offering.